In the late summer of 2012, the Netherlands experienced its largest food-borne bacterial outbreak in history. The pathogen was Salmonella Thompson, which traditionally appears annually in single or low double-digit numbers in Europe. But by August of 2012, approximately 60 cases of Salmonella Thompson had been identified; in September, over 120 more were identified; in October, nearly 900 tested positive; and in November and December, about another 100 were identified. By December, the count of new cases had slowed to about 20, and by January 2013, the outbreak was deemed over. As soon as investigators in the Netherlands recognized they were in the midst of a national outbreak, health investigators and epidemiologists from the National Institute for Public Health (RIVM) and the Netherlands Food and Consumer Product Safety Authority (NVWA) began to engage in a massive trace-back and epidemiological investigation. 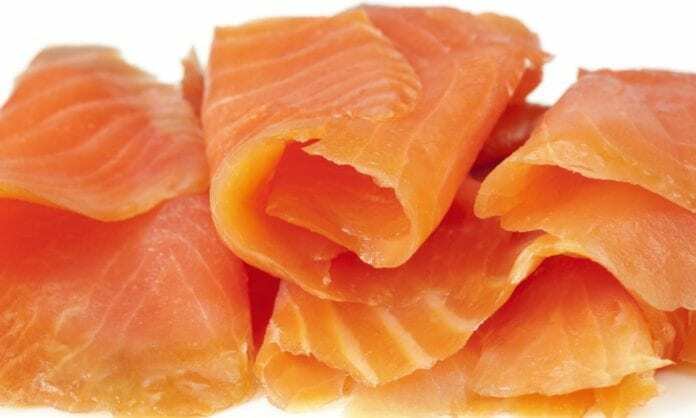 It took investigators about six weeks to determine and announce that smoked salmon was the source of the Salmonella Thompson illnesses, and that the salmon was the product of Foppen Paling & Zalm of Harderwijk, the Netherlands. The company, almost immediately thereafter, announced that the contamination of its salmon by Salmonella Thompson occurred at its processing plant in Preveza, Greece. By December of 2012, the RIVM had identified about 1200 victims, including at least four fatalities. The median age of the victims was 44, with a range 0–95 years. One-quarter of all the victims were minors, with 10% being 9 years or under. They were also disproportionately women, with 63% of victims identified as female. And just over one-third of the victims were hospitalized (36%). These statistics were drawn from a sample of the first 184 victims interviewed by the regional public health services in the Netherlands, which resulted in 111 completed questionnaires (or 60% of those interviewed). Illness onset was identified for the first 192 victims, and ranged from June 20 to October 6, 2012. According to reports, Foppen Paling & Zalm did not have any previous experience of salmonella bacteria contaminating or reproducing on fish, and hence its Hazard Analysis did not implement any precautionary measures and no regular inspections to check for salmonella had been in place. The fish was therefore shipped from the plant in Greece to the Netherlands without screening. A matched case–control study suggested smoked salmon linked to the Greek processing plant, and Salmonella Thompson was confirmed in four of nine batches of smoked salmon from that location (see below). The Dutch Food and Consumer Product Safety Authority (NVWA) performed a trace-back study on smoked salmon and discovered that those supermarkets, as well as another often mentioned supermarket, purchased all or part of their smoked salmon from the same fish producer. On September 26th, the NVWA held an inspection at this fish production site and took samples from different batches of smoked salmon products. Salmonella Thompson was detected in four of nine sampled batches of smoked salmon. Subsequently, all smoked salmon from this producer was recalled, starting Friday, September 28, 2012. During the following week, other products containing salmon, such as salads, were recalled. Isolates of Salmonella Thompson from patients, and samples of the packaged smoked salmon were subjected to molecular typing analysis by means of pulsed-field gel electrophoresis (PFGE) according to the PulsNet international protocol. The enzyme used for digestion in the PFGE was Xbal. PFGE patterns of strains from the patients and the smoked salmon were indistinguishable using BioNumerics 6.6 with tolerance and optimization both set on 1%. Historical strains from patients and food products that did not belong to this outbreak showed different fingerprints. Significantly, the smoked salmon was also distributed in the United States. According to a Foppen company spokesman, Bart de Vries, Foppen has only one U.S. customer, Kirkland-based Costco. According to De Vries, Costco is the only U.S. company that bought the fish. Mr. De Vries also stated that Costco would be in charge of the recall in the U.S., a point confirmed by Craig Wilson, vice president of Costco. Wilson stated that the company initiated, at the request of the supplier, a recall and removal of the smoked salmon on Monday, October 1, 2012. He said Costco was also contacting the 247,000 members who purchased the salmon. Unfortunately, some reports indicated that there had been as many as 100 victims identified in the U.S. at that point. Harald Wychgel, a spokesman for the Dutch public health institute, reported his agency had received this information from the U.S. Centers for Disease Control and Prevention (CDC). According to Mr. Wychgel’s information, at least 100 U.S. residents had been sickened as of October 2, 2012. This report comports with information provided by several States, the U.S. Food and Drug Administration, the U.S. Department of Agriculture, and the Centers for Disease Control (CDC), which were conducting investigations of a spike in Salmonella Thompson cases in the United States — this according to a Department of Homeland Security report dated October 3, 2012. According to that report, 85 people in 27 states may have been linked to the same contaminated smoked salmon that was sickening people in the Netherlands (this represents nearly three times the normal number of Salmonella Thompson cases normally identified in this time-frame). These investigations were confirmed by a CDC spokesperson, Lola Russell, on October 3, 2012. She confirmed that the CDC was investigating a spike in Salmonella Thompson illnesses since September 2012, and that to date, 10 people had been hospitalized. 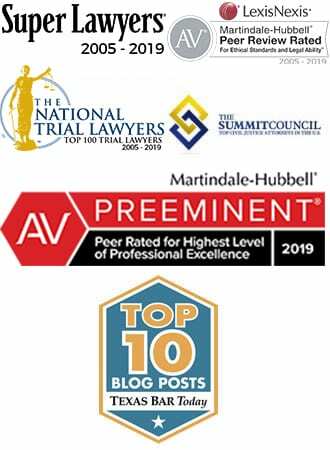 CBS news, in a report also published on October 3, 2012, confirmed that many health agencies around the world have access to the CDC database that contain records of reported cases of salmonella. The CDC, however, “has a specific procedure for confirming an outbreak is from a specific cause, including interviews with those who become ill.” It is not known if the CDC has interviewed any of the alleged U.S. victims of Salmonella Thompson. According to Costco’s Mr. Wilson, none of the salmon sold in the U.S. tested positive for salmonella and Costco is unaware of any confirmed illnesses at that time. 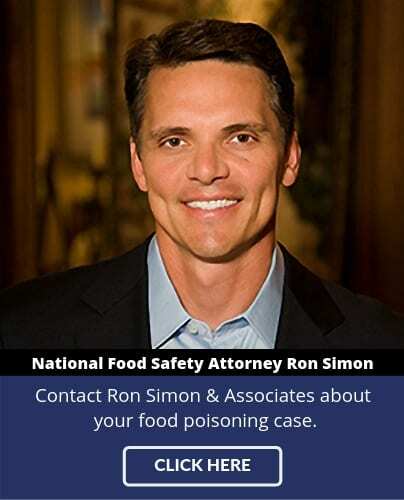 Salmonella lawyer Ron Simon is currently representing victims of the U.S. outbreak of Salmonella Thompson linked to Foppen smoked salmon sold at Costco locations in the U.S. While the outbreak in the U.S. was not as widespread as that in the Netherlands, “those who did contact Salmonella Thompson form consuming Kirkland Brand or Foppen Brand smoked salmon, became very ill and some incurred substantial medical expense in addition to lost wages and pain and suffering,” says Simon.